From turquoise lakes to rugged coastline, from the geysers of Yellowstone National Park to the grandeur of Yosemite National Park, the sheer exhilaration of being amid such incredible scenery is hard to ignore. Traveling with Backroads not only ensures that you see and experience the very best of these wondrous places, biking and hiking through the heart of them all, but also that you'll enjoy a level of comfort that allows you to fully immerse yourself in your surroundings. Whether you'd like to revisit a childhood favorite or discover someplace entirely new, our national park vacations provide an adventure that you'll remember for a lifetime. Bike Glacier’s famed Going-to-the-Sun Road for sensational vistas. Enjoy a thrilling ascent to pristine Waterton Lakes in Canada. Soak up astonishing alpine scenery that just won't quit. You're in two magnificent national parks. And you'll never be the same. An inspiring journey in Glacier and Waterton Lakes. Cross the Continental Divide on Montana's legendary Going-to-the-Sun Road. Bike over the border into Canada and discover Alberta's iconic peaks and stunning valleys. 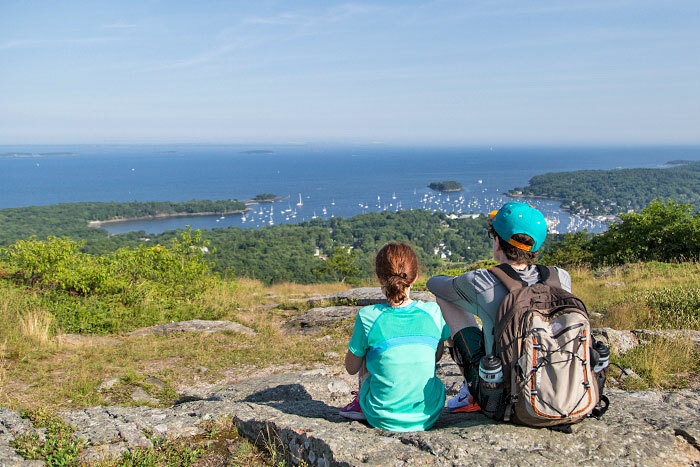 From unforgettable hiking trails, follow the flight paths of eagles and osprey high above. "Fifty miles of superlative scenery on Going-to-the-Sun Road. Sixty-two species of mammals, from pygmy shrews to grizzlies. More than 780 miles of trails and 10,000 years of natural history. You've got six days. It all adds up to one incredible story to tell. The Tetons—majestic peaks above, lakes and meadows below. Yellowstone is one of a kind, where geysers erupt hourly, hot springs glimmer like jewels and bison are as common as tourists. As you explore these parks with us, your experience will be just as spectacular. The pure magic of Yellowstone’s winter must be experienced to be believed. We can’t wait to introduce you to one of our favorite places—and one of the world’s most extraordinary winter landscapes. Hike amid Yellowstone’s iconic bubbling and steaming geologic features. Explore a gorgeous green landscape while gazing up to admire the epic Tetons. Float down the Snake River. From elk and eagles to lumbering bison—you’re bound to encounter wildlife. Walk where gold-miners once explored. Hike where caribou and grizzlies have ambled. You may be following in their footsteps but you'll be making your own way. From Denali National Park to the coastal Chugach Mountains, a true Alaskan experience awaits. Hike on an ice field for the thrill of a lifetime in Kenai Fjords National Park. Bike one of the region's few roads. Kayak along the coast amid volcanoes and glaciers. Be charmed by Homer. Move through the landscape quietly and "locals" —eagles, moose, sea otters, bears—may show their faces. Hike along Exit Glacier for glorious vistas of Resurrection River Valley and Harding Icefield. Trek to Grewingk Glacier, where you may encounter grazing Dall sheep. Boat across beautiful Kachemak Bay. Your sense of the wilderness will never be the same after this. Watch for humpback whales during our cruise on Prince William Sound. Hike in a forest lush with wildflowers and Sitka spruce. Venture deep into Denali National Park and look for gray wolves and grizzlies. You’ve seen nature. Just not like this. This is Alaska. In the vastness of Wrangell-St. Elias National Park, wildlife abounds, glaciers calve, massive peaks inspire awe and history comes alive. Step off the beaten path with us and start exploring—and hiking, biking, white-water rafting, whale watching and more! Embark on challenging rides amid glorious scenery in Central Oregon's high country. For epic views, skirt the rim of Crater Lake's caldera—a ride loved by Bicycling magazine. And bike McKenzie Pass, one of the most spectacular routes in all of the Pacific Northwest. Hike amid the majesty of the Cascades, including parts of the famed Pacific Crest Trail. Admire Crater Lake's breathtakingly clear sapphire waters from Wizard Island. And walk along the mighty Deschutes River, enjoying the ever-changing backdrop of spectacular scenery. Explore picture-perfect Victoria, the provincial capital of British Columbia. Hike in an Eden of ferns and old-growth trees. Admire Sol Duc Falls and mile-high Hurricane Ridge. Most vacations have one moment you remember forever. This trip has those moments daily. Canyons stretch across the Colorado Plateau like a wind-scoured sculpture garden. Sandstone spires soar, tinged in brilliant orange and red. Around every delicate arch and crimson labyrinth, behind each massive monolith, this red-rock wonderland invites exploration. Vast skies above the Sonoran Desert. Towering saguaro cacti and splashes of color across the earthy terrain. Roadrunners—and cyclists!—revitalized by the cooler spring and fall air. Luxurious resorts and quaint artist towns. It's not a desert mirage. It's Arizona. Be awestruck by the colors and immensity of the Grand Canyon. Bike through the sandstone wonderland of Red Canyon—a spectacular ride! Hike amid bizarre monoliths in Bryce Canyon. 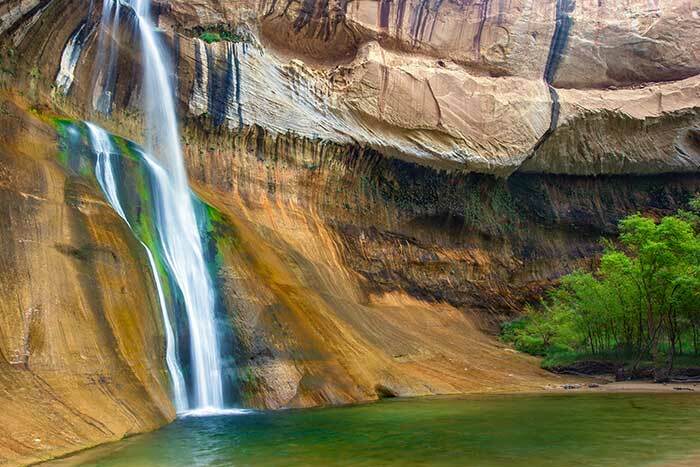 And venture into Zion Canyon, where every trail reveals a world of geologic wonders. Riders love a challenge. And every great challenge brings a reward. Yours will come in the form of epic rock formations and inspiring vistas—and lots of downhill. You'll marvel at how wind and water can create such beautiful places. But most of all, just enjoy it. One moment the geology is like a city skyline; the next, it's like a different planet. The colors, the plant life, the birds and animals… is it all a mirage? It's a place that gets along pretty well without people. And as you walk, you'll be glad about that. Journey along a scenic byway into the rugged wilderness and isolated landscapes at the heart of the American Southwest. Dramatic scenery and serenity await in the deep canyons of Capitol Reef's Waterpocket Fold, a spectacular wrinkle in the earth's surface almost 100 miles long, and in the winding labyrinths of Bryce's surreal gardens of stone. Bike past rocks in colors that rival an artist’s palette and vistas that morph with every angle in the light. Look for wildlife, from roadrunners to kangaroo rats. Witness graceful sand dunes and dramatic sunsets. Life in Death Valley is pretty sweet with Backroads. Let us introduce you to the splendor and diversity of these two dynamic islands. Be awed by majestic Haleakala Volcano. Walk in the footsteps of King Kamehameha to hidden beaches. And hike in an unexplored native forest. “Undiscovered” Hawaii really does exist. This trip is a perfect blend of flavors, colors and everything Hawaiian. Behold an active volcano from afar, then explore it up close. Bike through lava fields along the coast, kayak on a sparkling bay, then finish off the day lounging oceanside beneath the palms. Experience the iconic majesty of Half Dome. The enormity of El Capitan. The immensity of centuries-old sequoias. Join us to explore one of the world's most glorious landscapes—including waterfalls, alpine meadows and sweeping panoramas—on two feet and on two wheels. Hike among legendary landmarks, alpine meadows and waterfalls in an epic park whose grandeur is almost overwhelming. Feel dwarfed by vertical cliff walls—and giant sequoias—looming above you. Marvel at glorious high-country scenery and a profusion of summer wildflowers. Join us to pedal and hike among the planet's largest stands of towering virgin redwoods. Soak up the silence and grandeur of forests unlike any others in the world, where fern-carpeted groves and enormous ancient trees transport you back to prehistoric times. The crash of waves on rocky shores. The silence of deep pine forests. Centuries-old roads hugging the shoreline. The flavors of the day’s fresh catch. From the forests of Acadia National Park to seaside Camden, there’s much to love about this adventure down east. Down East Maine is calling. 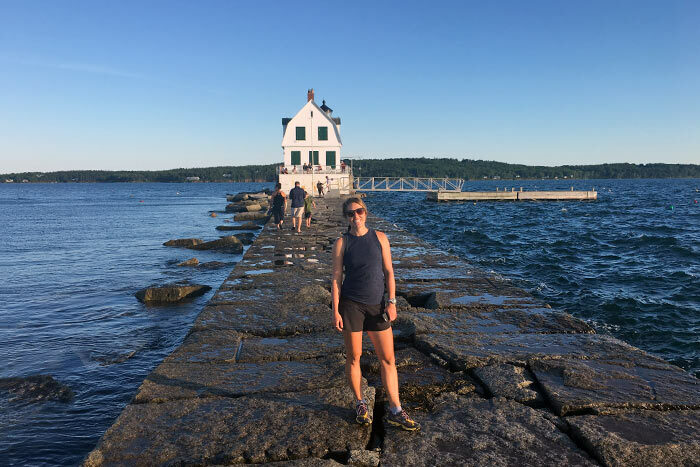 The raw adventure of biking rocky shoreline, the exhilaration of hiking to spectacular ocean vistas and the old-fashioned charm of boating and fishing villages beckon. Fresh seafood dinners and pampering spa treatments tempt. Maine might just have it all. Historic fishing villages adorning miles of rocky coastline. Romantic schooners weaving around islands and lighthouses. Winding hiking trails revealing ocean vistas, wildflowers and warblers. Festive lobster bakes with freshly plucked crustaceans. It's essential New England. The Blue Ridge Mountains from a distance and smoke-like fog rolling over the Great Smoky Mountains in the wee morning hours—just two reasons this is one of our favorite hiking destinations. 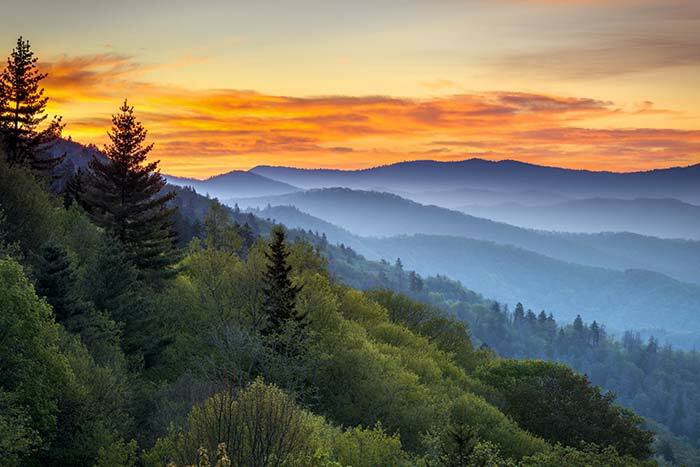 Once you've felt the mist of waterfalls on your face and witnessed the rolling valleys and majestic peaks of the Appalachian Mountains, we're willing to bet you'll add them to your favorites list. In the water. Over the water. Under it, around it. Paddle on it, pedal above it. 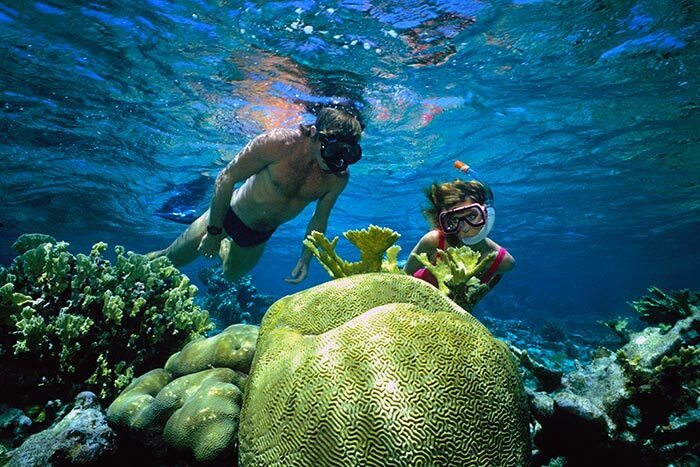 Plunge into it, sharing the experience with kaleidoscopic fish and maybe even sea turtles. Watch the sun set over it from the southernmost point in the country. How do you enjoy the true keys to happiness? It's easy—just add water.